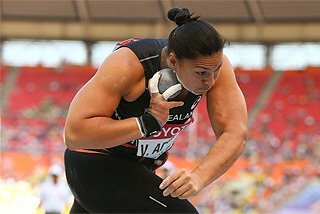 Valerie Adams produced her best form of the season to win the women’s shot put at the Meeting Herculis in Monaco on Friday (9), the ninth stop of this year’s IAAF Diamond League. 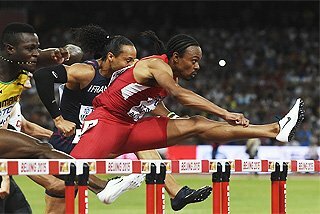 Besides an impressive 20.05m winner, the double Olympic champion showed great resilience to repel twin challenges from a classy field. An opening 19.25m put Adams in the lead. In the second round, recently-crowned US champion Michelle Carter launched the shot to 19.51m to take control, but Adams hit back immediately with 19.76m – her best throw of the season. In round four, world and European champion Christina Schwanitz went out to 19.81m to wrestle the lead, but Adams again responded with 20.05m and that secured the win. 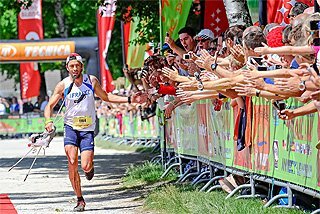 The win means Adams, who won the Diamond Race every year between 2011 and 2014, overtakes Tia Brooks, fourth in Monaco with 19.13m, to lead the 2016 standings. Her winning distance was her best since September 2014. 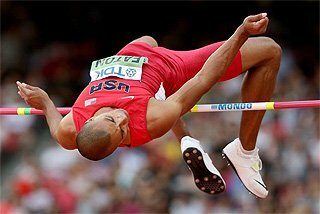 With the Olympics just a month away, it is a well-timed resurgence following persistent elbow injuries. The women’s pole vault featured a field of seven athletes with lifetime bests of 4.80m or above, yet hopes of one of them joining the elusive five-metre club disappeared with the light breeze that passed through the Stade Louis II. 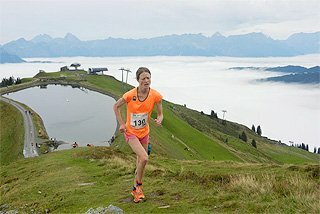 European Champion Katerina Stefanidi coped best with the conditions, which were much milder than those she had to deal with in Amsterdam. Her first-time clearances at 4.65m and 4.76m were enough to get the win. World champion Yarisley Silva didn’t quite hit form, needing all three attempts to go over at 4.65m before clearing 4.71m with her first effort. But with the bar at 4.81m, only Stefanidi could clear. 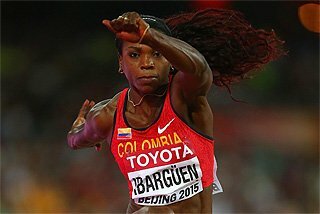 It is the fourth straight meeting that she has gone over 4.80m, though she expressed some disappointment at not being able to go over 4.93m. There had been talk before the meeting of a 1500m world record attempt by Diamond Race leader Asbel Kiprop. 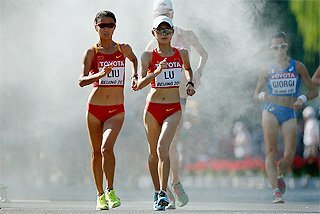 Hopes were high for the star-studded field, but after hitting 1000m in 2:18, it was evident that history would not be made. What happened after that was still a surprise. Kiprop led at that point, closely tracked by 2012 world indoor champion Abdalaati Iguider. Neither pulled away and with 150m to go the race was wide open. Ronald Kwemoi – who set a world U20 record of 3:28.81 in Monaco two years ago – pounced and ran away in the last 50 metres to take the win in 3:30.49. 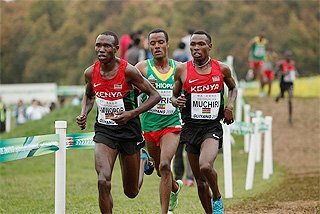 Elijah Manangoi also pulled through late, crossing the line second in 3:31.19, just ahead of Olympic champion Taoufik Makhloufi, Iguider and middle-distance legend Mo Farah. 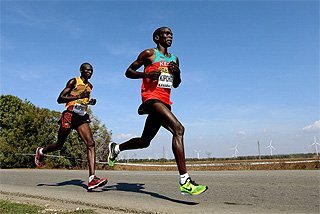 Kiprop, who will hope to reclaim his 2008 crown in Rio, finished sixth, which is enough to keep him at the top of the overall Diamond Race standings. Hellen Obiri led a Kenyan 1-2-3 in the women’s 3000m. 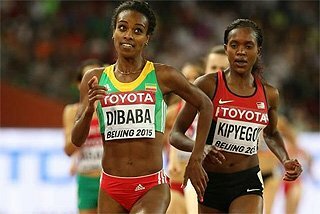 After taking 18 months off for the birth of her child, the 2012 world indoor champion was running her first 3000m since May 2014. She looked well worth it. After being taken through the first kilometre in 2:52.00, Obiri and Mercy Cherono led the group as they went through 2000m in 5:40.89. From there, Obiri showed fine strength, putting yards on her compatriot to cross the line in 8:24.27. There is almost certainly more to come from Wayde van Niekerk. 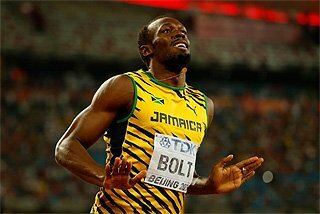 The world 400m champion stuck with the pace through the first three quarters of the race, pulling away down the home straight as he held his form and speed with fantastic poise. He crossed the line in 44.12 to record his second IAAF Diamond League win of the season. Trinidad and Tobago’s world U20 champion Machel Cedenio finished well to take second in a personal best of 44.34. Behind him, Grenada’s Bralon Taplin also recorded a lifetime best of 44.38 to take third. Eilidh Doyle recorded a personal best 54.09 to record an impressive win and take control of the Diamond Race. Running in lane three, the Briton ran a controlled bend, happy to let USA’s world silver and bronze medallist Shamier Little and Cassandra Tate steam away after fast starts. Doyle stepped on the gas through the back straight, and by the second bend held a clear lead that wasn’t dented as she crossed the line for her second IAAF Diamond League win of the season to lead the overall standings. 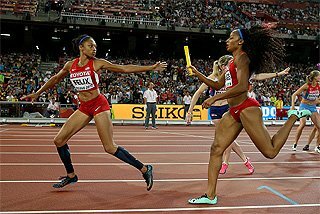 While Little faded, Tate looked strong through the closing 100m, finishing second in 54.63 ahead of recently crowned European champion Sara Petersen, who finished well in a season’s best 54.81.